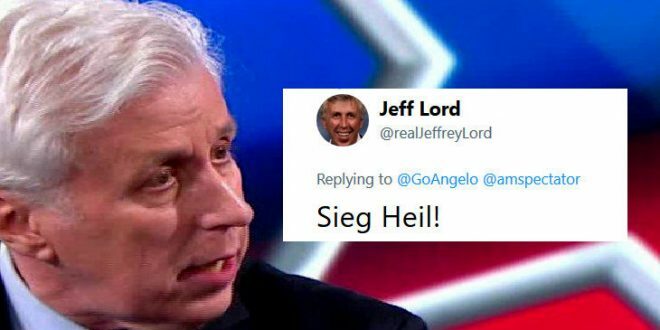 BREAKING: CNN Shitcans Trump Sycophant Jeffrey Lord For Tweeting "Sieg Heil!" To Media Matters President - Joe.My.God. Lord, a columnist for The American Spectator, has been harshly critical of the activist he tweeted at, Angelo Carusone, and the liberal group of which Carusone is president, Media Matters for America. Lord and Carusone have had many sharp disagreements. Media Matters has repeatedly called for Lord’s firing from CNN.